And this is it folks, the last game of the preseason. 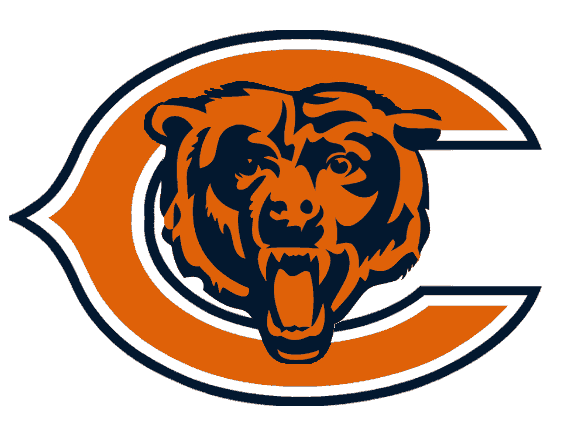 You’ve seen the Chicago Bear starters for… maybe a full game in totality. So now comes the part where roster spots are on the line! All NFL teams must trim their rosters down from 75 to 53 by 6 PM ET, Saturday. The Bears welcome in the Cleveland Browns for the fourth and final exhibition game Thursday night. Here are a few things to watch for as you sorta pay attention. I’m pretty positive I use this sub-header every year. And I don’t care. The Bears aren’t playing any starters tonight. Yeah. ANY. So the most you’ll possible get on the field tonight are some second-stringers. But after those players get done and head to the sidelines, that’s where the real battles begin. Of the three running backs the Bears are likely to keep on the roster, will that third spot go to Armando Allen? Or can rookie Michael Ford make one more impression and get on the 53-man squad? Are we even still having a fullback competition, or is the job Tony Fiammetta’s for the taking? The offensive linemen will be interesting to keep an eye on as well, as Marc Trestman has been saying they’ll only keep eight of them. J’Marcus Webb could be on the way out of town after tonight y’all. And there might be a small battle for a third quarterback spot tonight! Chicago might not keep three QB’s on the active roster, but Trent Edwards and Jordan Palmer are peddling their wares regardless. Watch as they fight for their NFL lives! This is what the fourth preseason game is all about. More Changes at Wide Receiver? Earl Bennett was actually rumored to be discussed as a tradeaway by the Bears’ front office. So could his roster spot be on the line? He hasn’t practiced in weeks due to concussion symptoms. And he’s making $1.5 million this year, which is a decent amount for someone who didn’t catch 30 balls either of the past two seasons. If someone were interested in giving you a late (and I mean late) round draft pick for Bennett, you’d have to listen. I doubt anyone’s going to bite on him, but it would make sense to get another pick and snipe another wide receiver on the cheap during the waiver process on Saturday. Even though the starters aren’t going to be out there, that doesn’t mean valuable players won’t be suiting up. Those guys are around for much-needed depth during the season. So good god please nobody get hurt. That would be bad, mkay? And I’m out! Enjoy the game and try not to get too bored during it. SCRUBS!